Hyundai sales are up 59% year-on-year in Chile in September. The Chilean new car market is up a very encouraging 13% year-on-year in September to 32.377 registrations, lifting the year-to-date tally up 7% to 219.596 units. 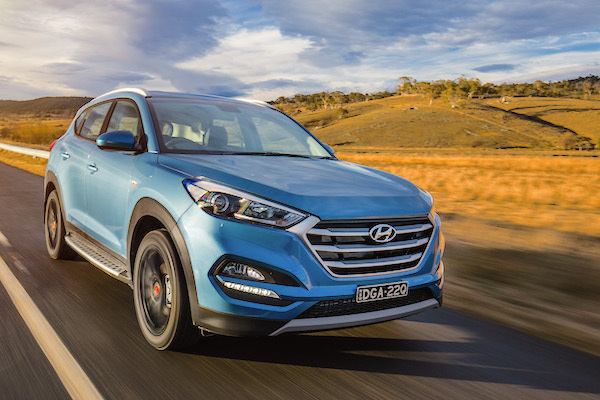 Hyundai confirms its newfound YTD market leadership with a clear advantage ion September at 3.621 sales and 11.2%, up a whopping 59% year-on-year. It is followed this month by Toyota (+26%), Chevrolet (+12%) and Kia (-2%). Inside the Top 10, Nissan gains 24% at #5, Ford is up 14% to #7 and Peugeot up 12% to #8 whereas Suzuki drops 4% and Mitsubishi skids down 19%. Further down, Volkswagen is up 54%, Mercedes up 47%, Fiat up 52%, Honda up 49% and JAC up 118% to take the lead of Chinese manufacturers ahead of Chery (+24%), the Great Wall Group (+22%), Dongfeng (+65%), Changan (+40%), MG (-8%) and Foton (+262%). All-in-all, Chinese carmakers account for 6.5% of the Chilean market in September vs. 7.5% a year ago and 7.8% year-to-date. Full September 2016 Top 55 All-brands below.